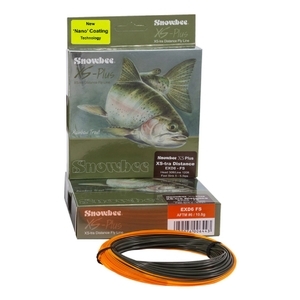 Snowbee XS-Plus XS-tra Distance Fast Sink Fly Line. The shortest head of all the series at just 30ft (just over 9m), this line will fire a long line in all conditions from either bank or boat. Developed from the popular ‘Surf Line’ a short back cast only is required to punch out this fast sinking head. Most popularly used off the bank on still waters this has also been used in temperate saltwater applications and for predator fishing where reaching depth easily and quickly with short shooting head style is ideal. The XS-Plus XS-tra distance lines use a shooting-head profile designed for extreme distance casting with minimal back cast and false casting. There are three lines in the series, Floating, Intermediate and Fast-Sink, each with a shorter than normal head length of 40ft, 35ft and 30ft respectively. On all of them, the head has a short back taper for powerful performance onto a continuous, high visibility, fine diameter floating running line for the ultimate ‘shootability’ and visibility to enhance optimum ‘take’ and ‘strike’ reaction. The overall length of all the lines is 120ft (40 yards) and early trials regularly saw the loop to backing joint, rattling through the rod rings! 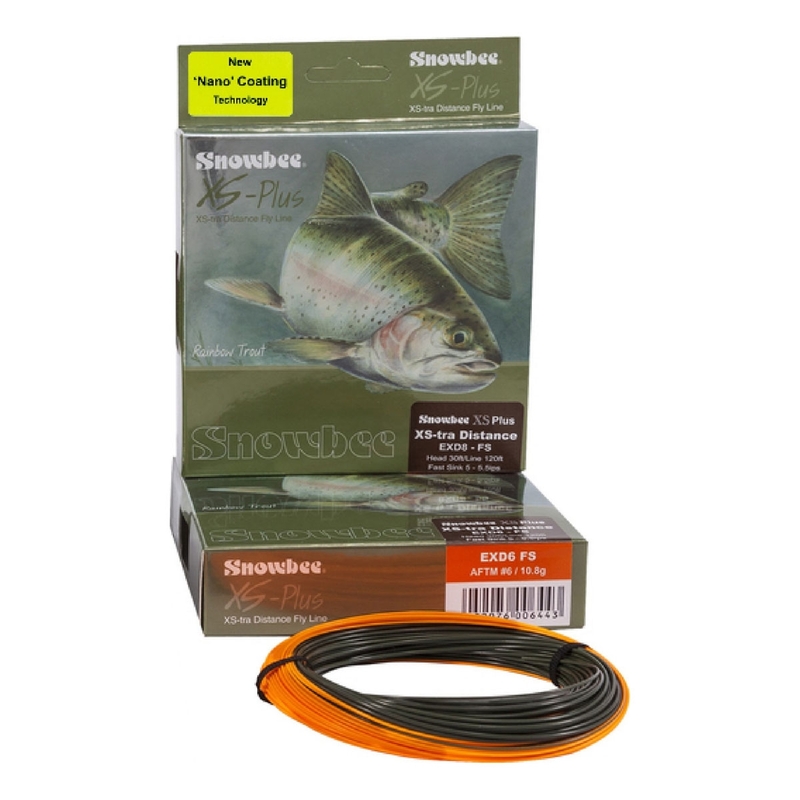 These lines will benefit people of all casting abilities, exceed the performance using traditional profile lines and help reach those fish that were previously just out of casting range, especially when there may be a limited back-cast available.